The 8 Best Luxury Car Dealerships in Rhode Island! One of the highlights of the Ocean State is no doubt exploring the opulence and grandeur. From historic mansions to the yachts in the harbor, there is a definite air of glitz and glamor across the state. 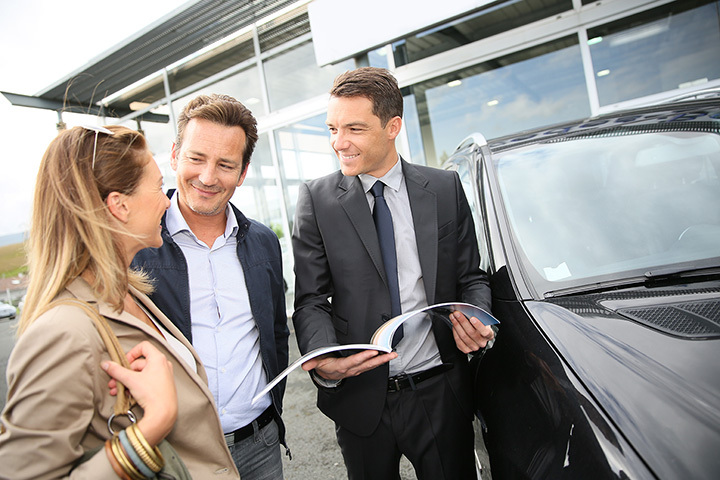 To go along with the style, you’ll find a variety of luxury car dealerships to visit. For the car of your dreams, stop by one of these great dealerships in Rhode Island. This family-owned and operated dealerships has been in the car business since 1934. With one of the self-proclaimed ”largest Volvo inventories in New England,” Steingold consistently has 150 or more of the Swedish-engineered luxury automobiles on the lot. With “honesty, integrity, trust, and respect” Steingold has been doing luxury cars right for more than 80 years, and the way they treat customers is second to none. Lexus of Warwick offers service specials, Lexus lease deals, certified pre-owned, and new Lexus models. They also specialize in brake and oil changing services. With a huge selection of cars, crossover, and SUVs and crossovers, you can experience “world-class amenities” at their state-of-the-art facilities. Okay, we all know Mrs. Clause will choose the red one. Which will you choose? With a huge selection BMW cars and SUVs, including the ever-popular 4 Series and X1, BMW of Warwick is ready to talk about luxury automobiles. They also offer certified pre-owned BMWs and are self-proclaimed as the “best BMW parts and service centers in the Providence metro area.” Plus, their parts department offers expert technicians that are certified by BMW, the German luxury automaker. At Viti, the luxury arm of Daimler AG in Germany, buying your Mercedes-Benz is meant to be exciting and fun. Promoting a low-pressure environment and tons of on-site models to choose from, their dedicated staff are there to help. Then, when you are ready to buy, there will be no smoke and mirrors, just a “transparent experience” that has earned Viti a trusted reputation in the area. Since 1964, Jake’s has offered a world-class selection of Jaguar, owned by the Indian company Tata Motors and located in England, vehicles. From the powerful XF to the luxurious F-TYPE, you’ll find a vast lineup of luxury automobiles here. Also, find certified pre-owned Jaguar vehicles featuring pre-owned automobile that have passed a multi-point inspection. Plus, get financing options, world-class service featuring OEM Jaguar parts, and incentives. Find a large variety of luxury Acura vehicles to fit your needs at Speedcraft. From sedans to SUVs, take a look at RLX, MDX, and RDX models, or browse their vast used inventory. Also, get unparalleled service after the sale, special financing, trade-in evaluations, and more at this luxury vehicle marque of Japanese automaker Honda. World Wide Auto makes sure all vehicles meet rigorous standards, and they would not sell any car they would not buy themselves. With an inventory of over 1,100 cars, including classics from the 1930s, Ferraris, Hummers, Lamborghinis, Maseratis, Bentleys, and more, World Wide Auto specializes in rare and hard-to-find auto gems and ships worldwide and internationally. With financing available, own your dream luxury car from WWAS today. Audi Warwick is a self-proclaimed “10 time Magna Award winning dealer” where you can choose from new and used luxury Audi cars. Plus, get award-winning customer service, an expert sales staff, and certified OEM parts. Audi luxury comes with many standard features, including automatic transmission with overdrive, four-wheel anti-lock brakes (ABS), an integrated navigation system, airbags, automatic air conditioning, 19-inch aluminum wheels, cruise control, ABS, and driveline traction control.